Get ready to change the world. Want to make a difference in the world, study with globally renowned experts, have paid on-the-job training opportunities, and shorten your Master’s degree by up to one year? Consider a semester away with the Middlebury Institute of International Studies at Monterey (MIIS). There will be 3 people talking about various programs. Toni Thomas, the Assistant Dean of the Graduate School of International Policy and Management. Pam Berenbaum from Middlebury’s global health program, who designed a study away semester in collaboration with MIIS’s development program. Dr. Ferenc Dalnoki-Veress CNS Scientist-in-Residence. He was a member of the Sudbury Neutrino Observatory team awarded the 2015 Nobel Prize in Physics. At CNS, ho focuses on the proliferation of fissile materials, nuclear spent fuel management, emerging technologies, and verification of nuclear weapons. All Middlebury students, regardless of year or major, are invited to attend this session. Dr. Dalnoki-Veress will also be giving a lecture in the Physics department on 4/16 at 12:30 in BiHall 104 entitled: Using Neutrinos to Detect Clandestine Nuclear Activity – consider attending BOTH events! This entry was posted in Midd Blogosphere and tagged Arts, Media, and Communications, Film/Radio/Television, Government, Law and Policy, Graduate/Professional School, languages, science, Science and Technology on April 9, 2019 by Nicole Veilleux. Three recruiters from the Central Intelligence Agency (CIA) will be visiting campus for two days on February 26 and 27. They are particularly interested in talking with students who are curious how to use their language skills in the intelligence community. There will be a group information session on Tues, Feb 26 from 6-8 pm in MBH 219. Let us know you’re coming here. This event is open to all students, all majors, all class years.! This entry was posted in Midd Blogosphere and tagged Arts, Media, and Communications, languages on February 26, 2019 by Alicia Gomez. Want to share your intercultural interests with local high school students? Join Language in Motion – an educational collaboration that connects Middlebury’s international, study abroad, and upper level language students with local high school, middle school, and elementary school teachers, students, and classrooms. With support and training, Middlebury College students prepare and deliver lessons and activities that promote global awareness, intercultural competence, and world language acquisition. We’re accepting 15 new presenters for the spring semester. The short and simple application is due this Wednesday – February 20. Feel free to contact Kristen Mullins with any questions – or stop by during our information drop-in hour from 7:15 – 8:15 pm today (Monday, 2/18) at the Center for Community Engagement Office at 20 Old Chapel Road (across from the Service Building). Note: you do not need to come to the drop-in hour to apply. This entry was posted in Midd Blogosphere and tagged Education, global awareness, languages, Social Impact on February 18, 2019 by Tracy Himmel Isham. Are you interested in using your foreign language skills in your career? Hear ideas and opportunities on how to use your language ability to maximize your potential and stand out from the competition — from finding the right prospect, to nailing the interview to making the most of your language skills as an employee. 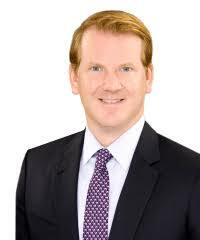 The talk will be given by Brian Burke, Midd ’97, who majored in Chinese at Middlebury and is currently a partner at Shearman & Sterling, an international law firm. This entry was posted in Midd Blogosphere and tagged Arts, Media, and Communications, Government, Law and Policy, languages, law on January 2, 2019 by Alicia Gomez. Nerina received a BA in Theatre and German from Middlebury College and an MA in International Artistic Cooperation from l’Université de Paris VIII. Starting in 2003, she has trained in theatre between Swaziland, the United States, France and Italy with, most notably, Vanessa Mildenberg, Cheryl Faraone, John Britton, Andrea Olsen and Daria Lippi. Starting in 2005, Nerina directed “4.48 Psychosis” by Sarah Kane, “Manifesto for Another World” by Ariel Dorfman, “Novecento” by Alessandro Baricco, the participatory performance “POST•M”, “Ni una más” by Mia Parissi and the installations for the 2015 and 2016 MNF at the Royal Library of Belgium. Based in Brussels since 2013, she has developed several artistic projects in connection with the territory. Building exhanges between Europe and the USA, she was Karin Coonrod’s assistant director and stage manager for Orfeo in Orvieto (2014) and The Merchant in Venice (2015-2016), and has translated into French Jessica Litwak’s play Wider Than the Sky (reading at Salon du Varia in 2015), as well as into English in collaboration with Allison Grimaldi-Donahue, Lina Prosa’s Lampedusa Beach and Lampedusa Snow, published by The American Reader (2013) and Words Without Borders (2016). In 2016-2017, Nerina wrote the libretto for the opera-film the wARdrobe, with music by Davide Fensi and video by Portuguese videomaker Daniel Pinheiro (an inoutput production, release 2019-2020). Nerina also works as an assistant producer to dance company Dame de Pic / Cie Karine Ponties. Sign up to talk with Nerina Cocchi ‘10 about her path from Middlebury to where she is today, how she has applied what she learned in school to help build her career, and how students might pursue a similar path on Wednesday, November 7 or Thursday, November 8. Click here to sign up for a 1:1 chat! This entry was posted in Midd Blogosphere and tagged Arts, Media, and Communications, languages, Theatre on October 30, 2018 by Alicia Gomez.